I may have taken a tiny bit of liberty with the wording to see if you were paying attention but I’m sure you remember the concepts. Sometimes they were absurdly obvious. More often than not though they forced you to think out of the box and ignore the obvious solution that would lead you to failure. If you don’t believe me just pay attention to your next meeting. Someone surfaces static data on a slide and a leader asks “Why did that happen last month?” or “Why are those 2 providers under-performing the others” or “Why did our expenses go up?” The answer is more often than not “That’s a great question. I will research that and get you the answer NEXT _____.” I don’t care if the blank is “Week” “Month” “Meeting” or the phrase “Time the committee meets.” NEXT is still a 4 letter word that simply means “We are never going to be able to make a decision.” Because “next” never gets here. Questions always, always, always give birth to additional questions. It’s Newtons’ 4’th Law of motion. We use our mobile devices for almost everything in our lives outside of the office but we seem to put them into airplane mode once we step into our places of work. Who can really be blamed for that though? Our business problems are much more difficult to solve than making reservations for a trip while standing in an elevator, and then seeing a 3D satellite view of that city when we arrive while we get turn by turn directions that include live information about traffic patterns in front of us. We all use analytics on our desktop computers but it’s not like they would really work on our mobile devices. Would they? Take the following screen for example that represents the common look and feel of a typical “dashboard.” It represents the number of messages on Instagram from users around the world regarding ice-cream. It’s critical when I travel that I know what the “locals” are saying. Should I consider “gelato” in Genoa? If so which vendor(s) should I go to and which should I avoid? Kind of proves the point that it’s far too big to fit on a pad or a phone. Well …. It used to be. But enter the magical world of “Responsive Design.” Responsive Design is far more than marketing terms to describe the process of shrinking a dashboard like into 10 pixels wide by 10 high so that we need a magnifying glass to view it. Responsive Design involves applying serious intelligence behind the scenes that actually “moves” and “alters” the objects as needed to fit whatever the size and orientation of your device happens to be. Cool stuff right. Wait this post is about to get a whole lot better. 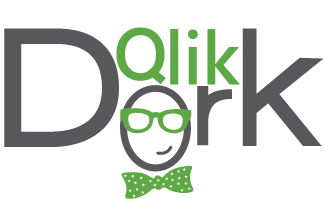 The following link is for a Qlik Sense Demo site and will take you to the dashboard I’ve shown above. You will be able to not only see, but interact with the data right on your mobile device. Just for fun see if you can figure out the most talked about term in the United States and what month the most posts occurring? 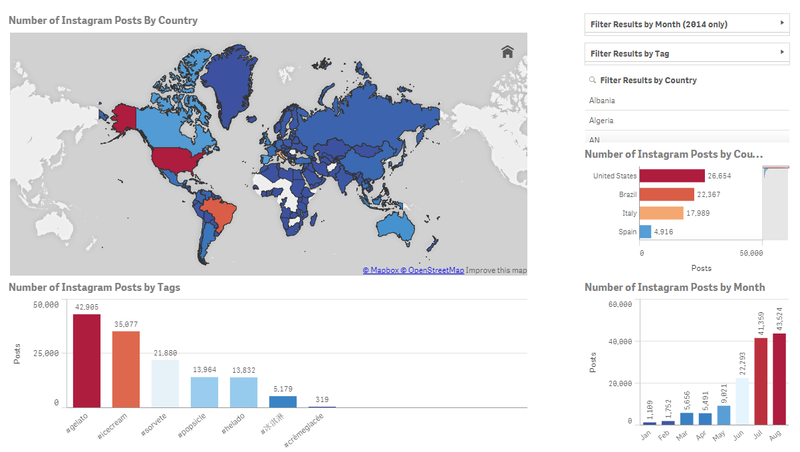 Visualize yourself interacting with your company data instead of popsicle posts. Visualize the leap forward in your company’s decision making when you begin taking advantage of the “power of now” that responsive design can bring you. Embracing responsive design will allow you to switch the right “matchsticks” to convert the word next into the word now. But hey … no reason to rush. You can always transform your business NEXT year. After all it’s not like your competition is doing it right NOW. This entry was posted in User Adoption, Visualization and tagged analytics, responsive, Visualization. Bookmark the permalink.